The character videos just keep a-comin' for Atlus' rhythm-action games Persona 3: Dancing Moon Night and Persona 5: Dancing Star Night.Now that most of the friends, lovers and confidants have been revealed, it's time for our leads, with videos dedicated to the respective games' protagonists. 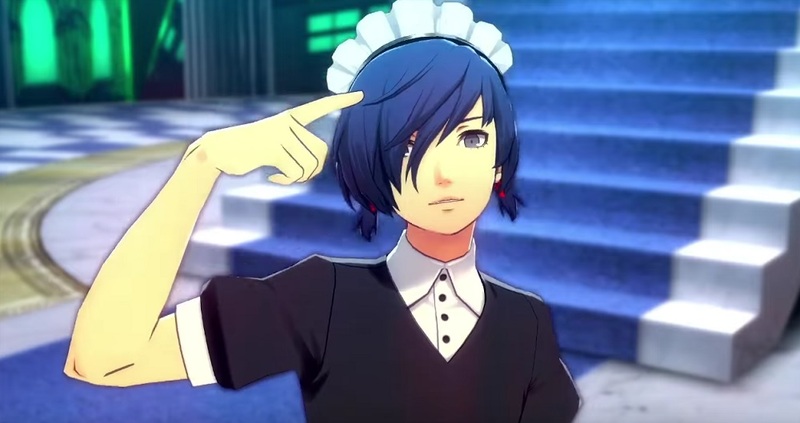 The two new trailers feature Persona 3's male protagonist, canon name "Minato" "Makoto", and Persona 5's head Phantom Thief "Akira" "Joker" "Ren". Both cool dudes strut their stuff before being joined by two of their best pals, namely Aigis for Makoto and Ryuji for Ren. As a bonus, we also get to see the recently revealed Sega franchise and cross-dressing outfits in action, with Makoto taking to the dancefloor as Virtua Fighter's Akira, then in a cute maid getup. Meanwhile, Ren steps out briefly in the iconic suit of Yakuza's Kazuma Kiryu. Persona 3: Dancing Moon Night and Persona 5: Dancing Star Night are set for release in Japan May 24 on PS4 and PS Vita.